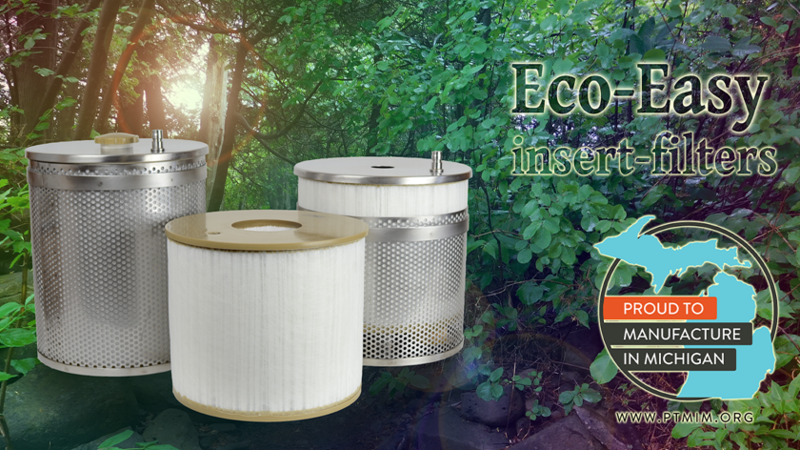 Hoff Engineering is the manufacturing home of the Eco-Easy insert-filter. It is easier on the environment, and it’s easier on your bottom line. For thirty years, Hoff Engineering wire EDM filters, manufactured in Michigan, had set the standard for cost-efficiency and reliability in the North American EDM consumables market. Tens of thousands of Hoff Engineering filters performed successfully for decades on Mitsubishi, Charmilles, Sodick, Makino, and Fanuc EDMs. Then, increasingly faced with stiff, almost entirely foreign competition, Hoff Engineering developed the first really important filter innovation the EDM world had ever seen. An insert-filter inside a reusable stainless steel basket: an idea whose time had come! 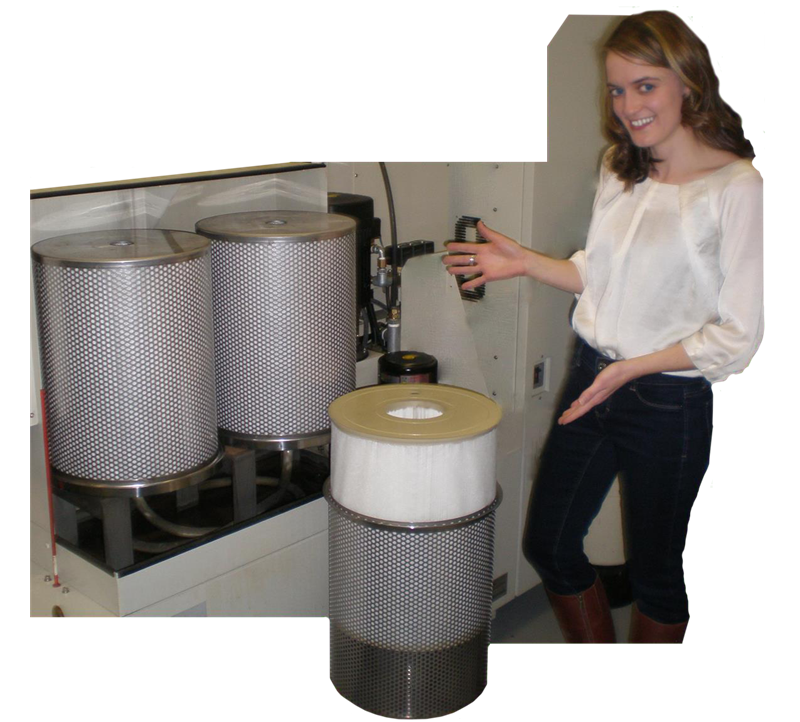 The support components of all previous EDM filters – the hard plastic or steel wrapper, core, end caps, connecting plug, typically weighing 8-9 lbs – must eventually end up in landfills. But, with insert-filters, the support components are reusable. Mitsubishi filters, Sodick filters, Fanuc Filters, Charmilles Filters, Makino Filters. These filters must service increasingly faster and more powerful machine tools. More tool steel dirt is being generated, and higher change-out pressures must be withstood. But the best way to evaluate the bottom line doesn’t change: it is the cost/filter hour. Since the Hoff Engineering insert-filter typically costs about 60% of the best O.E.-supplied filters, while providing equivalent service life, it shines in this cost/filter hour analysis. No retro-fitting is necessary. 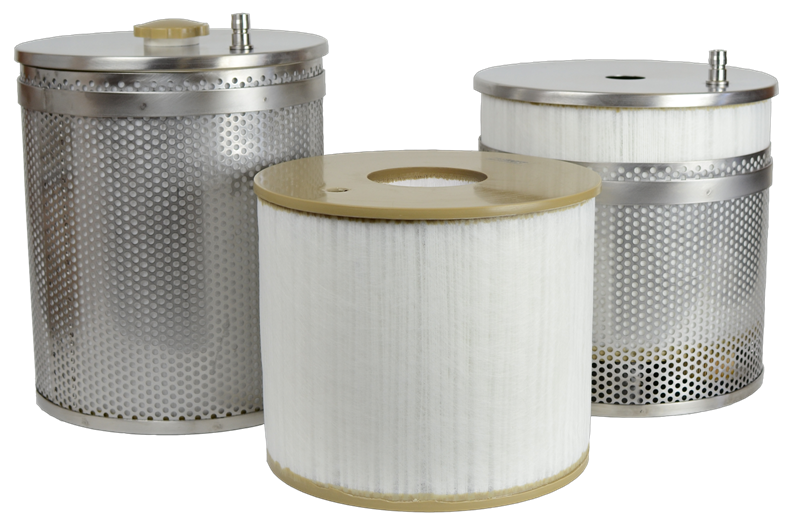 The insert-filters’ baskets fir the existing filter cabinets on Mitsubishi, Fanuc, Sodick, Makino, and Charmilles. 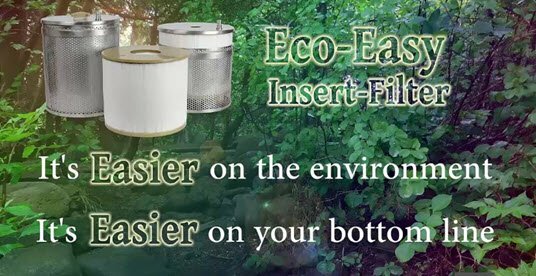 If you do close tolerance, high precision wire EDM work, consider evaluating the Eco-Easy insert-filter. They will be better for the environment and will save you money.